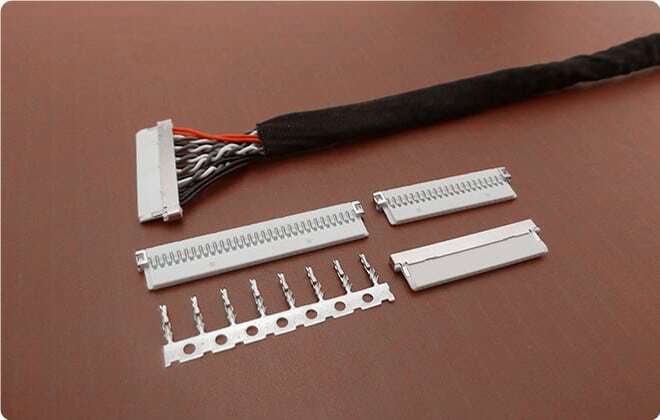 Scondar offer different types of 1.0mm pitch wire to board connectors. 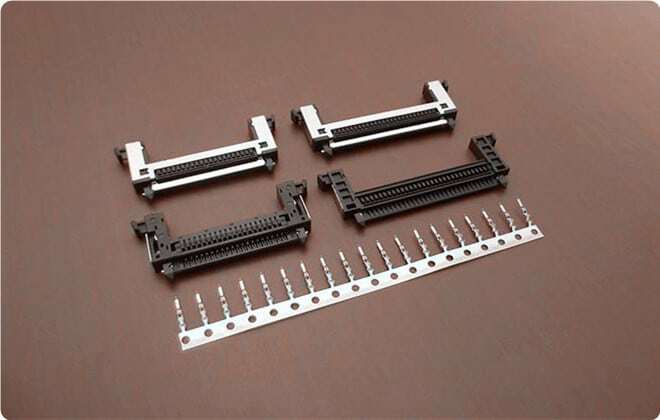 Like compatible with JST SH series connectors and SHD dual row series for small devices. 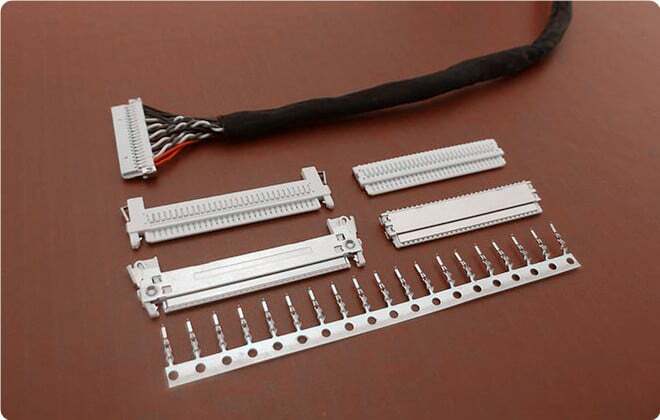 And other like JAE series and Hirose series 1mm pitch connectors are widely use in LCD, LVDS cable etc. 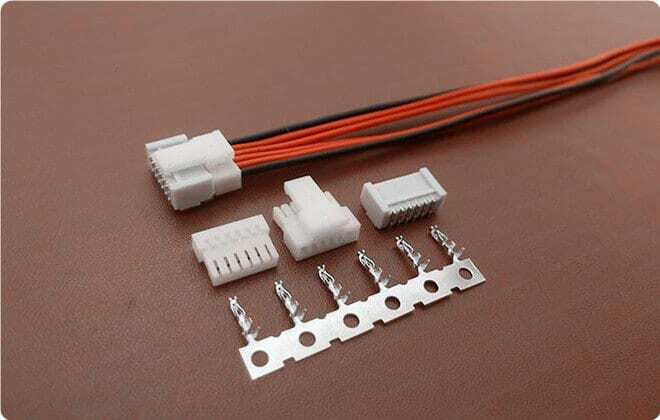 If you didn't find the 1mm pitch wire to board connectors you want, welcome to contact us for help. 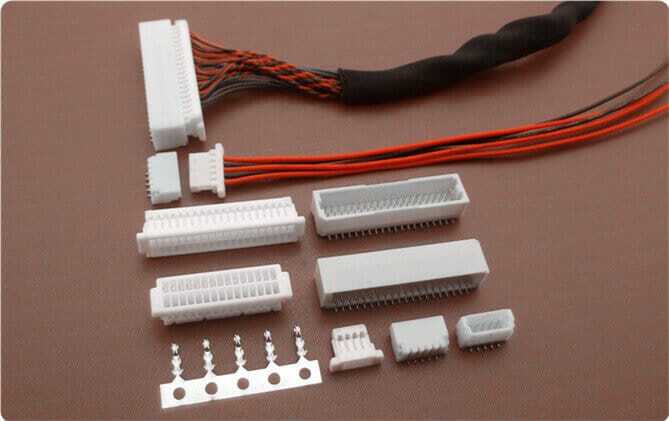 Generally speaking, a 1mm pitch connector is a small connector used in densely-packed or small-spaced PCB board. Scondar offers the following 1mm pitch connectors with the same specs as the branded connectors such as JST SH. The SH 1.0mm pitch connector is a low profile connector for small-sized devices which are commonly seen in small racing drones. In this connector design, a crimp style lock and a polarized design is incorporated in its configuration, securing the connector and preventing users from inverted insertion. Engineered to be space efficient providing significant PCB savings, this connector has a minimum top entry height of 6.3mm and depth of 2.9mm and a side entry height of 2.95mm and depth of 6.35mm, delivering 1.0A AC/DC, and is available in 2 through 15 and 20 circuits, accepting a range of 28 AWG to 32 AWG. Furthermore, it is manufactured under high-pressure ensuring positive electrical contact and low contact resistance in the presence of strong vibration and distortion, making it suitable for both power transmission systems and chassis wiring. This low-profile connector with polarized design and crimp-style is SMT compatible, rated at 1.0 A AC/DC, 50 volts and can accomodate 32-28 AWG. The contacts are tin-plated phosphor bronze providing reliability in signal transmission. Its components such as the housing and header are molded in a 94V- 0 PBT and is also ideal for rugged electronics devices, sustaining environmental stresses, complying with RoHS standards. The series has an operating temperature range of -25 C to +85 C including temperature rise when applying an electrical current. It is offered in 2-15 circuit sizes. Furthermore, the series is supported with termination tooling. The JAE FI-E Connector is suitable for Low Voltage Differential Signaling (LVDS), operating at low power and at high speeds. This connector is an inexpensively made as it is very common in many data communication applications, industrial cameras and machine vision, notebook and tablet, computers and communications systems as high-speed graphics, video camera data transfers, and general purpose computer buses. This connector is polarized and available in crimp-style, being compatible with SMT and available in 31,41 and 51 positions, with a current rating of 0.5A AC/DC, a rated voltage of 200V efficiently operating at -40 deg C to 80 deg C.
Hirose DF19 series connector is a single-row, low profile connector available in 8, 14, 20, 30 positions, with either a straight or right-angle connector orientation and can accomodate wire sizes from 32 AWG to 28 AWG. The operating temperature ranges from -35C to 85 C, with a rated current of 1 A and rated voltage of 100 V.
This connector is made durable permitting mating alignment, a mechanical lock being available to prevent insufficient mating. Its low profile design has a height of 1.5 mm and depth of 7.2 mm for its horizontal configuration and a height of 1.7 mm and a depth of 7.2 mm for its vertical configuration. A crimp-style and solder-style is available for harnessing. The same receptacle will accept plugs terminated with discrete wire, FPC or micro-coaxial cable. Wire termination method can be by soldering, crimping or FPC termination. This connector is also durably made, withstanding 30 repeated connection/disconnection while still meeting the specifications for maximum resistance. Scondar’s connector terminals are made of tin-plated, phosphor bronze. The terminals have a thickness range of 0.12mm-0.15mm depending on the 1.0mm connector type and standard reels are 20,000 pieces per reel.